The Lincolnshire dining hall project entailed refurbishing eight dining halls across Lincolnshire in a bid to eradicate school catering budget deficits and encourage more children to eat on school, instead of seeking unhealthy alternatives at nearby shops and takeaways. Phase 1: During the two week Easter holidays three dining halls were refurbished at Tattershall Gartree, Boston Grammar and Kesteven and Sleaford Girls High schools. 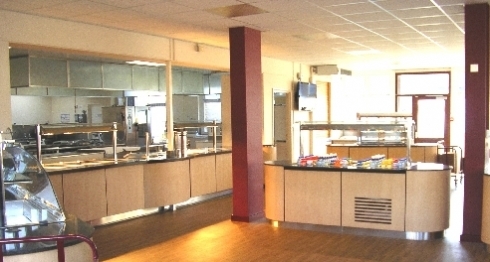 Phase 2: The five remaining dining hall refurbishments are taking place during the 2010 summer holidays at Boston High, Spilsby King Edward VI, Spalding Gleed Boys and Girls, Lincoln Christ’s Hospital and Bourne Robert Manning schools ahead of the new autumn term. Reduced waiting times are allowing catering staff to serve an extra 300 meals a week. All schools have reported an increase in profits, signifying more children stay on site at lunch time, instead of seeking unhealthy alternatives outside the premises. We designed and installed a multi-use dining hall at Lincoln Christ’s Hospital school that meets both the school’s and public’s needs. We delivered the dining halls below budget and to a tight programme and the client’s specifications. 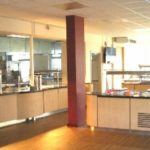 The refurbishments were successfully completed in the challenging timescales and all schools have reported an increase in takings, signifying more children eat on-site and turning the dining halls into profitable businesses.